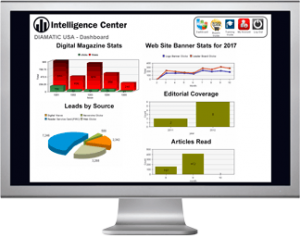 Concrete Decor magazine’s Intelligence Center delivers website analytics you can trust. There is a number of ways to reach your target audiences with Concrete Decor, and having the tools to measure your print and online ad performance is priceless. It’s why Concrete Decor magazine developed the Intelligence Center for its important industry partners. As the number of ways to reach your target audience increases, so does the need to have access to and understand the numbers that measure the success of your efforts. Concrete Decor magazine has developed the Intelligence Center, a powerful resource for advertisers. Concrete Decor advertisers can login and find valuable tracking information at connect.concretedecor.net. Contact your Account Manager at (877) 935-8906 to learn more about putting the power of the Intelligence Center to work for you.